Black is such a happy color !! Plain polo T shirt with embroidery !! Black polo plain T shirt made from 100 % Cotton material looks classy and elegant. 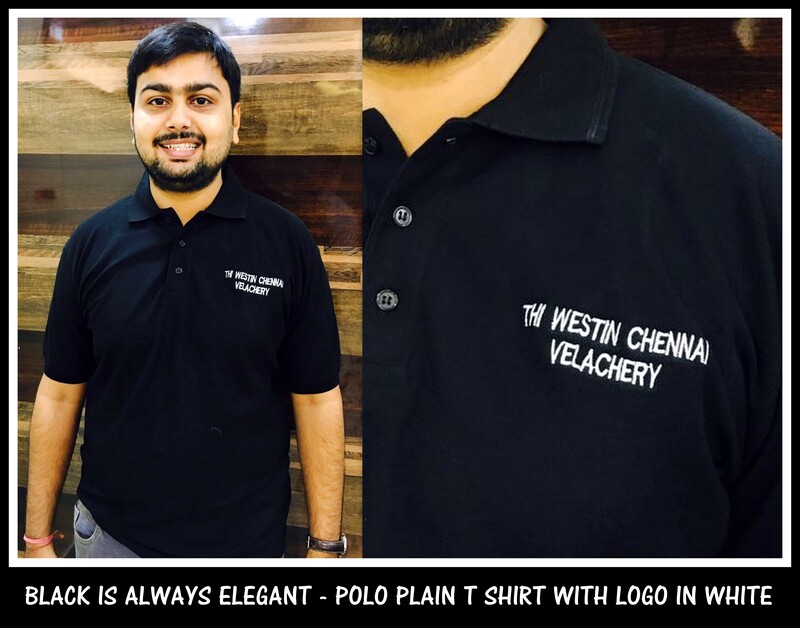 These T shirts are for occasional use by the Security guards at The Westin Velachery hotel in Chennai. For your requirement of plain color of T shirts that are readily available with us call us now. We would be happy to help you.